It is immense pleasure that you purchased Amazon echo device. Now you have an opportunity to ask Alexa anything at anytime by that your Amazon echo becomes your personal voice assistant and makes your life very simple and technological. But, before that you have to make sure for How to set up Amazon echo. Amazon echo gives you a fast respond to your voice commands and play your favorite music, told you audio books, inform about weather, news, and much more things. 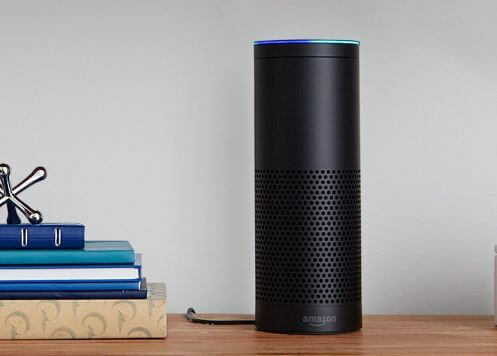 Having a built-in microphones, the Amazon Echo is made to hear your audio commands no matter where you are in the room or if there’s background noise or there’s another music playing. Are you ready to get started? Here’s the steps for How to set up Amazon echo so called Alexa enabled Amazon echo. It is recommended that place your Amazon echo device in central position at-least 8 inches away from walls for best performance. With the free app of Alexa, you can set up your echo, set your alarms, favorite music, all the tasks, and more. The Alexa app is available on phones as well as tablets with Android version 5.0 or higher and iOS version 9.0 or higher. For the downloading the Alexa app, go to the play store on your mobile device and search for “Alexa app” in search box then click download. From browser go to https://Alexa.Amazon.in/ from Safari, Google Chrome, Mozilla Firefox, Microsoft Edge, or Internet Explorer (10 or higher) on your Wi-Fi enabled PC, that is How to set up Amazon echo step first. Second step of How to set up Amazon echo Plug-in the included power adapter in Alexa enabled Amazon Echo and then into a power outlet. The light will ring on Amazon Echo turns blue, and after that orange color. Follow the instructions which are given in manual guide in the app to connect Amazon Echo to a Wi-Fi network. To know more, go to Connect Your Echo Device to Wi-Fi. If you’re Amazon Echo having a problem for connect to your Wi-Fi network, unplug it and after that plug the device into a power outlet to restart. If you still have problem, reset your Amazon Echo to its factory settings and set it up once more. To understand more, go to Reset Your Echo Device. Your Amazon echo is ready-to-use. To get started, speak the “wake word” and then say naturally to Alexa. Your Echo device is ready to give you response to the wake word “Alexa” by default, you can update it at any time. To change the wake word in the Alexa app, go to the devices icon, select your device, and then select the wake word you want. While Amazon Echo has a speaker, but you can connect it to your any external speakers with an audio cable which can sold separately or through Bluetooth. So after understanding set up Amazon echo you can connect smart home devices enjoy it. These steps are very useful to you for completely how to set up Amazon echo.